The Thomas B. Fordham Institute has released a new report about the place of accountability in publicly-funded voucher programs. Twenty experts, including foundation officers, education reform scholars, and CSF President Darla Romfo, share their views on such topics as accreditation, increased day-to-day regulation, and the value of standardized test scores in evaluating school choice programs. 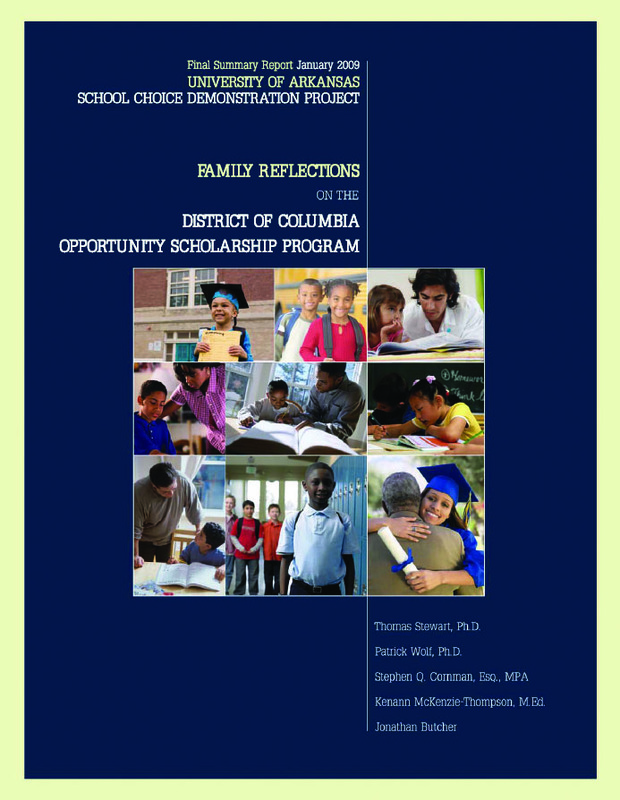 The School Choice Demonstration Project (SCDP) at the University of Arkansas has released a report examining the experiences and outcomes of families participating in the Opportunity Scholarship Program (OSP), the only federally-funded school voucher program in the U.S. operated by CSF partner, the Washington Scholarship Fund (WSF). On January 2004, President Bush signed the District of Columbia School Choice Act into law, bringing OSP to life with $14 million in funding. Scholarships are available of up to $7,500 per child each year for tuition to attend private schools of their choice. The SCDP research team spent four years engaging selected groups of families in focus groups and interviews. For the full report, please go to: http://www.uark.edu/ua/der/SCDP.html.